It's time to let people hear you roar! 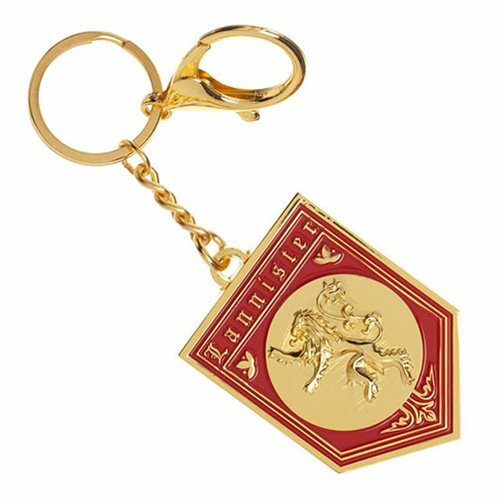 Complete with rampant lion sigil, this fancy zinc alloy Game of Thrones Lannister Key Chain measures approximately 2 1/5-inches tall x 1 1/2-inches wide and features sculpted detail, a gun metal finish with enamel-filled details, and a lobster claw clasp. Clip it to your keys, purse, bag, backpack, car visor, and more!